For years, longtime Seaside Heights residents pined for the good old days. The resort was a safe and sunny place where visitors came to bask in the sun and residents ran successful businesses and lived the Shore life the way it was meant to be. As time went on, things changed. Elements of past glory remained, but negative media publicity, economic pressure and deteriorating motel properties took their toll on the town’s image. Many lamented the fact that MTV’s “Jersey Shore” was based in the borough, but the oft-unfairly- maligned reality show may ultimately come to be seen as the catalyst that ushered in a new era of investment that will reinvigorate and redevelop Seaside Heights as the first-class family resort and year-round community many have hoped for. In the wake of Superstorm Sandy came an opportunity, officials believed. New, family-friendly events – free concerts, more fireworks, wine tastings, boat races, a Christmas parade – were planned. Donations from an MTV telethon after the storm allowed the borough to purchase a stage where popular artists now seek to perform. Several blocks of new, single-family homes were built, and after several years of stagnation, a world-class condominium sprung up over the Boulevard. The best is yet to come, officials say, part of a concerted effort by the borough’s administration and partners in the private sector to lure a new wave of investment to carry out a new vision of the safe, sunny seaside community that almost slipped away. Vaz, who has been mayor since July 2015, has quickly made his mark, dissolving the borough’s redevelopment agency while expressing willingness to take action – through negotiation or condemnation – on improving the community. Negotiations are still ongoing at the troubled Travel Inn Motel on Bay Boulevard, where Walters Group is planning to build a new senior citizen apartment complex. To the north, hammers and saws can be heard daily as Island Beach Way – a new community of single-family homes that began to spring up after Sandy – is quickly selling out. The Boulevard, the main commercial district besides the boardwalk, is home to a “stunning” condominium building that one day, if all goes according to plan, will be surrounded by new shops and restaurants. With the show having ended its run, the residual notoriety the borough received can be transformed into something much bigger, Loundy said. Officials passed a tax abatement program to spur investment pre-Sandy, offering the average homeowner about $15,000 in savings over five years. The borough began booking 50 musical acts each summer, culminating in the Gentlemen of the Road Stopover Tour in 2015 that provided the jolt of positive energy everyone was looking for. “We are really on the move,” said Loundy. This summer, three new businesses will open up on the Boulevard. A successful restaurant in Toms River – the name of which has not yet been revealed publicly – will open a California cuisine style restaurant in the former On Top of Spaghetti location, which will be renovated. Klees Bar and Grill purchased the property next door to its present location, knocked down an old building and will utilize the space as an outdoor seating area. And a restaurateur from the Philadelphia suburbs is taking over a vacant location so she can move her entire business to Seaside Heights. “Just in the matter of 60 days, three new places on our Boulevard have dropped out of the sky and will be open for the summer,” Loundy said. Negotiations are continuing on another Boulevard location where an existing building will be torn down and replaced with retail space on the first floor and condominium units above. 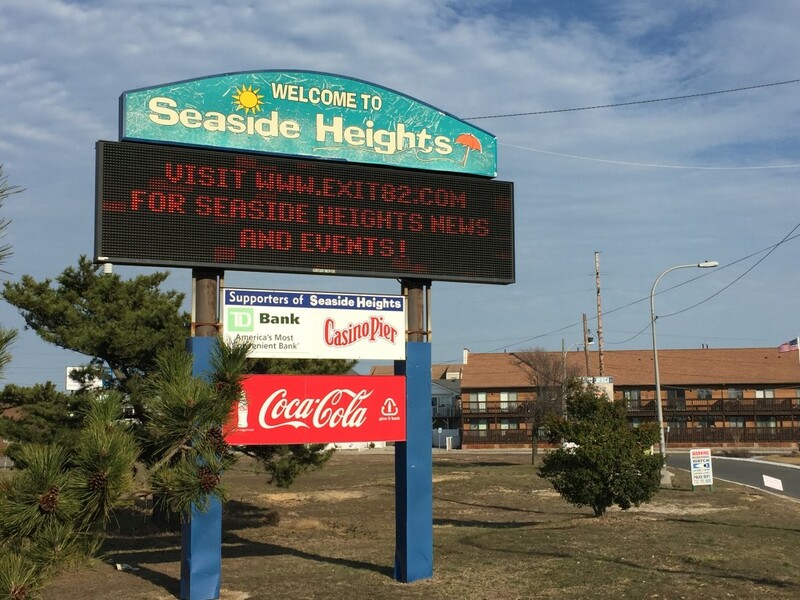 That style of mixed-use development, successful in the restorations of Morristown, Asbury Park and other communities, may become central to Seaside Heights’ plans. Earlier this year, the borough council voted to appoint the firm of Phillips, Preiss Grygiel, of Hoboken, as a redevelopment planner. 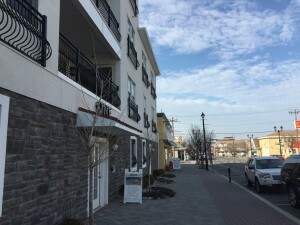 The company has previously developed the downtown revitalization program in Hightstown, similar plans in Montclair and Roosevelt Island, N.Y., and has represented iStar, the major redeveloper in Asbury Park. In developing its vision for revitalizing their town, Vaz, the mayor, and other officials decided to take a middle-of-the-road approach. Development would not focus on a single type of structure – such as all condominiums, all single family homes or all similarly-styled businesses – but would center more on the intended uses of properties. Officials are attempting to strike a balance between ultra-high-end development and the present real estate stock. “We’re blue collar, and I don’t think we should be something we’re not,” said Loundy. Christopher Vaz, borough administrator and local historian, said the recurring theme should be ensuring the borough looks like a beach town and is true to its roots. Loundy said the rental stock is still down following Sandy. While a few properties have not been repaired, others have been rebuilt as modern homes where people are living year-round. But for those that remain, the phone at the Seaside Realty office has been ringing frequently. For both rental property owners as well as boardwalk businesses, locals are putting their faith in the redevelopment of Casino Pier to bring more families to the boardwalk. 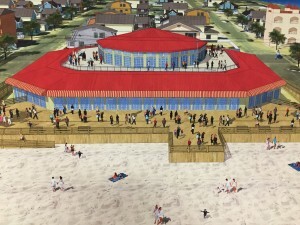 The pier, partially destroyed during Sandy, is proposed to be rebuilt northward on borough-owned property that will be swapped with the pier owner for a valuable, historic carousel and land on which to build a museum to house it in the northern part of town. Casino Pier is proposing $20 million or more of investments in new attractions. The pier’s value became solidified on Memorial Day weekend, 2013, when the Today Show broadcast live from the boardwalk and Gov. Chris Christie cut a world-record-length ribbon to ceremonially reopen the town after the storm. If the boardwalk economy booms, so will restaurants, shops, nightclubs and other businesses on the Boulevard, currently the focus of the redevelopment planner’s efforts. Ultimately, an improved seasonal economy and a redeveloped town may prompt more people to become year-round residents, strengthening the community as a whole. “I was on the phone this morning with a woman trying to figure out the best way to commute to New York if she buys one of the One Ocean Boulevard condos,” said Loundy. That’s exactly what the mayor wants to hear. He said the borough council is favoring a cohesive plan, but is willing to review ordinances concerning building height and other factors that may decide whether a projects gets off the ground or not.